Differences between Chapter 7 vs Chapter 13 Bankruptcy can provide a debtor with alternatives to best protect their property and eliminate debt. The objective is to determine which of these two chapters will protect assets you want to keep. In a bankruptcy case under chapter 7, you file a petition asking the court to discharge your debts. The basic idea in a chapter 7 bankruptcy is to wipe out (discharge) your debts in exchange for your giving up excess property. Excess property is property that is not exempt. Just because you are filing bankruptcy, it does not mean you are not allowed to keep any property. Just the opposite is true. The law allows you to keep certain exempt assets to make sure you can get a meaningful fresh start. In most cases, all of your property will be exempt. But property which is not exempt is sold, with the money distributed to creditors. Call us for a free consultation to discuss which option is best for you. In a chapter 13 case you file a “plan” showing how you will pay off some of your past due and current debts over three to five years. The most important thing about a chapter 13 case is that it will allow you to keep valuable property that is more than what the law allows under the bankruptcy exemptions. You can use the chapter 13 plan payments to catch up on payments you have fallen behind. You will need to have enough income in chapter 13 to pay for your necessities and to keep up with the required payments as they come due. Call us ans we can help you make the minimum payments to keep all your assets. 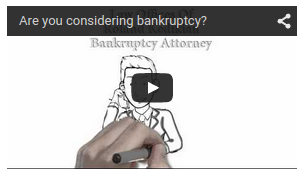 Learn More About the Chapter 7 Bankruptcy Attorney. 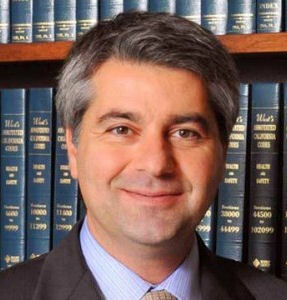 or Find out why we offer free consultations with attorney Roland Kedikian.